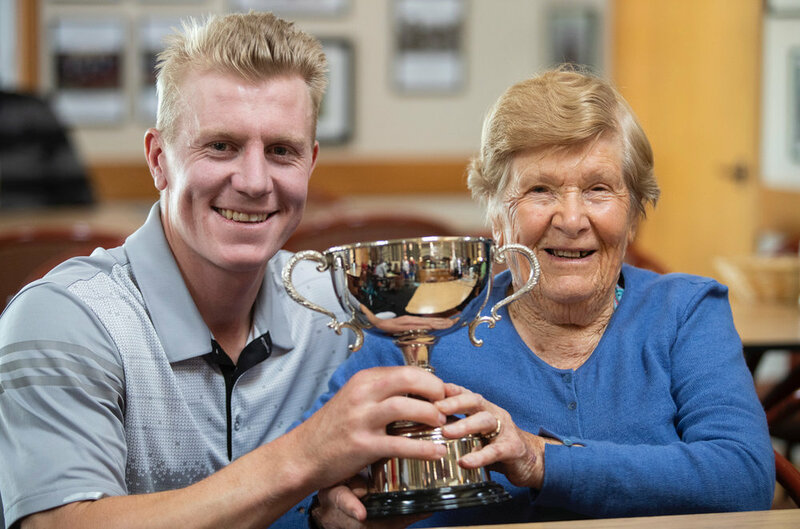 Canterbury-born James Anstiss notched his maiden professional victory in the Harewood Open in Christchurch last month. Anstiss won the Jennian Homes Charles Tour event by four shots. Even though the winning margin was comfortable he was pushed all the way by runner-up Ryan Chisnall. Chisnall got to within one shot of Anstiss with three holes to play but Anstiss held his nerve. Anstiss had a hat-trick of bogeys from holes 12-14 before he produced the shot of the championship on the par five 16th hole. Anstiss played a near-perfect seven iron for his second shot that ended a foot from the pin and a tap-in eagle three. “I had the perfect yardage and knew I had to do something big with Chissy [Chisnall] right on my tail,’’ Anstiss recalled afterwards. Anstiss said the win was a boost for his golfing career as a professional. “It feels great and it’s very special,’’ he said. It was a family affair for the Anstiss family with his grandmother stealing the show and getting to witness his first win. Chisnall’s chances were extinguished with a wayward drive on the 72nd hole resulting in a bogey while Anstiss made a clinical birdie. David Smail ended a solid campaign in third place as he starts to play more in preparation for the seniors’ tour which is not far away for the 48-year-old. Fraser Wilkin and Dongwoo Kang rounded out the top five after solid play on the weekend. Meanwhile the women’s division of the Harewood Open was won by Wanganui 15-year-old Tara Raj. It was also her first win on the Charles Tour but had to battle hard after giving up a six-shot lead with just four holes remaining. Despite starting with a birdie on the first hole of the final round, Raj dropped eight shots in a six hole stretch to allow Caryn Khoo to enter the contest as she came within a couple of shots of Raj. But in the end Raj held her nerve in the end to win by one. “It feels really good,’’ a relieved Raj said. With a two-shot lead playing the par five 18th, Raj left her approach shot short of the green as Khoo applied the pressure by chipping it close for a tap in birdie. Raj then needed to make up and down for the biggest win of her young career which she did in style by chipping it to just inches from the hole.